My foreword to Invisible Leviathan, by Professor Murray Smith of Brock University, Ontario, Canada, published by Brill in November 2018. Relevant, I think, to my recent presentation on the contribution of Marx to economics made at the Rethinking Economics conference at Greenwich University, London. What will workers decide when faced with the confusion of 48 political parties listed for the national and provincial poll on May 8? Many clearly did not register to vote, some have said they will abstain, others remain uncertain about who to support. Has anyone else noticed how over the past few years the corporate media has been dedicating ever more space to articles on how to deal with loneliness, anxiety and insomnia, as well as ways to immerse ourselves in escapist new technology? The first three months of 2019 have shown a significant slowing in global economic activity. Global manufacturing output (as measured by JP Morgan economists) is actually falling. So too is global trade for the first two months of this year. This week Monsanto/Bayer AG was ordered by a California federal court to pay $80 million to Edwin Hardeman after a jury found its weed killer, Roundup, caused his cancer. The case is just one of thousands of lawsuits filed against the company over plaintiff’s use of the glyphosate-based herbicide. In 2015, the World Health Organization classified glyphosate as probably carcinogenic to humans. The Food and Drug Administration has concluded the herbicide is not likely carcinogenic to humans. In August 2018, a jury in California state court awarded a school’s groundskeeper, Dewayne Johnson, nearly $289 million in damages. The verdict was later reduced to $78 million and is on appeal. In this conversation with Chris Hedges, environmental activist and author, Vandana Shiva, talks about Monsanto/Bayer AG and other big AG players interests in India and her fight to protect life forms, seed varieties and farmers. Our beloved world is entering an increasingly unstable period, full of dangers and also full of possibilities. In many countries, old political parties are crumbling faster and anyone thought imaginable. Old geopolitical alliances have come unglued as the US comes to exercise its role as world hegemon in new and unpredictable ways. The development of the internet, of mobile phones and of apps has led to incredible disruption of many aspects of many societies: from how we pay for and listen to music, to how we consume and propagate information and news, to how we shop for almost anything. All that is solid is melting into air. Many people think that the United States is very active, but does not succeed in much. For example, it is said that its wars in the Greater Middle East are a succession of failures. But for Thierry Meyssan, the USA has a coherent military, commercial and diplomatic strategy. According to its own objectives, it advances patiently, and is crowned with success. The designers of the US Grand Strategy – Secretary of Defense Donald Rumsfeld and his advisor, Admiral Arthur Cebrowski; President Donald Trump and his commercial advisor Peter Navarro; and finally Secretary of State Mike Pompeo and his advisor Francis Fannon. Here are three important lessons for the progressive left to consider now that it is clear the inquiry by special counsel Robert Mueller into Russiagate is never going to uncover collusion between Donald Trump’s camp and the Kremlin in the 2016 presidential election. 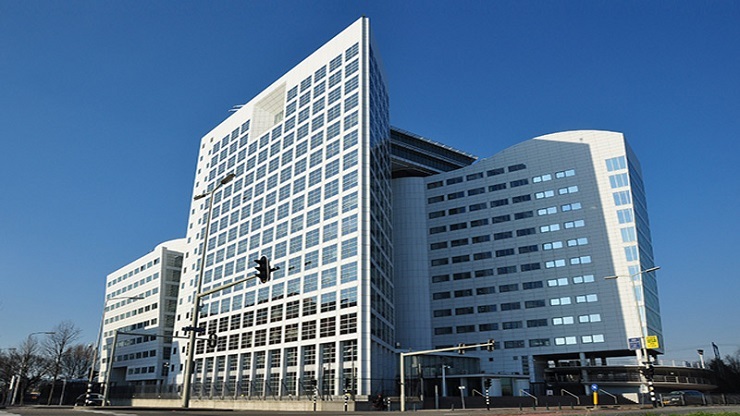 The International Criminal Court (ICC) is not international nor a legitimate court, but is most certainly criminal. It is an institutionalized tool – one of many – used by Western corporate-financier interests to coerce and control nations across the developing world.